White Plains Ridgeway Elementary Kitchen Staff Feeds 600 Students Almost Wastefree! Meet the Ridgeway Elementary School Kitchen Crew. These wonderful ladies make sure that Ridgeway students are happy campers in the lunchroom. Salads, sandwiches, hot food, all is prepared fresh right on site. 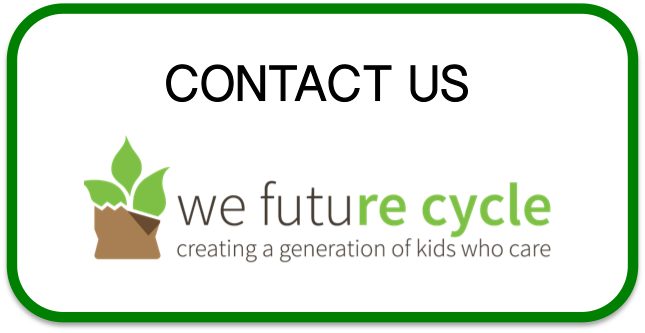 Ridgeway Elementary School was one of the White Plains pilot schools to join the We Future Cycle recycling program and the entire school embraced the program with gusto. The kitchen crew sorts all food waste into compost, all packaging material into recycling and they are also sorting all clean soft plastic into a bag which gets recycled at the local grocery story as part of the plastic bag recycling. This portion of the program is completely voluntary, and Ridgways kitchen staff is going every week above and beyond to do their part for the environment. I was proudly shown their office size garbage can that sported after a full day of work just a handful of gloves and a few dirty soft plastic food pouches. That is truly a wonderful example of an entire school community making a difference and going green.